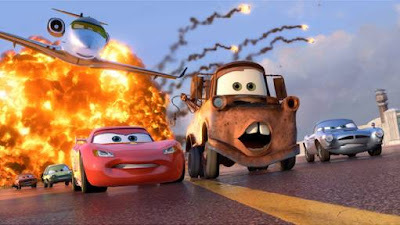 Tomorrow is the much anticipated release of Cars 2! Our family was invited to view the film last week, but due to make-up games for little league we couldn’t make it. 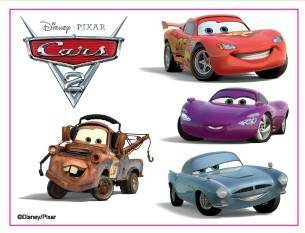 We are so incredibly excited to make it an end of school celebration this weekend and go to the theater to see Cars 2! Have you seen the trailer yet? It is so exciting! Be sure to “like” Cars 2 on facebook! One Momma D and Da Boyz reader will win the Cars 2 Giveaway. Just leave a comment with what your favorite Cars character is! This must be done first, or no other entries will count! 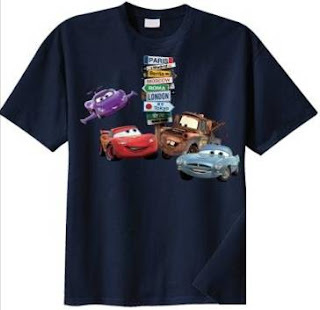 The Cars 2 Giveaway will end at 11:59 PM on July 7th. I received no compensation for this post. The items for giveaway are being provided. All opinions expressed are my own. My 3 boys love Lightening McQueen!! 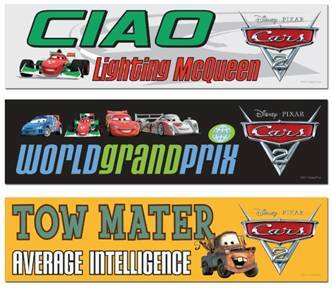 We will soon be having our 5th “Cars” themed birthday party. The boys just can't get enough of it!